The 2018 Rolls-Royce Phantom will have its world premiere on 27 July. 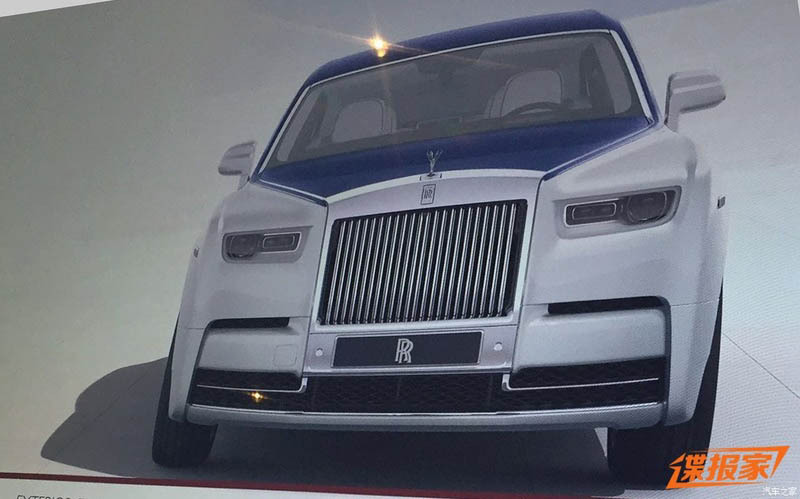 About a week before the official unveiling, the Rolls-Royce Phantom Mk8 has leaked online via Chinese brochure scans, courtesy autohome.com.cn. As expected, the Rolls-Royce Phantom gets an evolutionary makeover for its eighth generation. The all-new Phantom's proportions look largely similar to the outgoing model's, and design changes look tweaks at best. Up front, the Spirit of Ecstasy, the Pantheon grille and the long bonnet continue. The redesigned headlamps adopt a shape similar to the Dawn's, but with catchy and unique graphics. The lower lights are deleted. The air dam is much larger, and air inlets are designed above on the sides of the tall radiator grille. On the inside, the dashboard incorporates a clean design and has the clock moved to the passenger side. The central AC vents relocate to the centre console, which is redesigned. 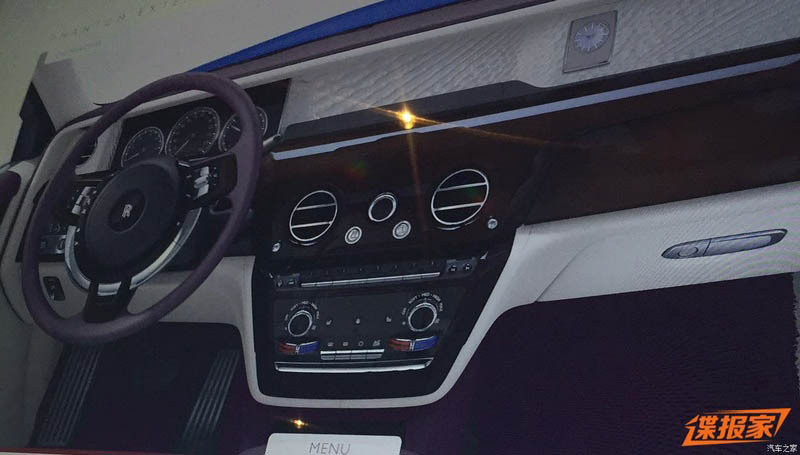 The instrument cluster may look analogue at first look, but spy photos have shown that the all-new Phantom has a fully digital instrument cluster. Also visible are the dark wood, textured panelling and cream leather upholstery in the interior image. The instrument cluster looks analogue, but it's probably a fully digital unit set to look that way. An all-new aluminium architecture underpins the Rolls-Royce Phantom Mk8, which it will share with the Rolls-Royce Cullinan. The all-new Phantom will get its power from a 6.6-litre twin-turbo V12 petrol engine, which reports say, is an advanced version of the engine serving the Ghost, Wraith and Dawn. Sales of the eighth generation model will commence in 2018.